We have exciting news. 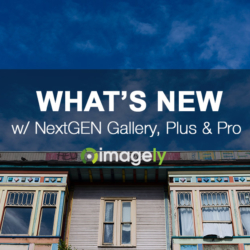 For the next couple releases of NextGEN Gallery, we are focusing on user experience and interface improvements. Along with that comes something new for NextGEN Gallery, called Visual Shortcodes. Visual Shortcodes are like normal shortcodes, except when in the visual view of the content editor you do not see the shortcode. But instead a visual representation of what the shortcode is for. Here is a fun animated GIF showing Visual Shortcodes in action. You can now insert galleries using Visual or Text view and our new Add Gallery button. You're no longer confined to only the Visual view. Social media sites will no longer pick up the NextGEN Gallery placeholder image from websites with Open Graph NOT set. Because now social media sites will see the shortcode as text and not an image. Existing shortcodes will be seen as the new placeholder preview and if re-saved will be fleshed out to match all the current display settings. You can click to edit the gallery or album you have inserted from visual view, and the shortcode will adjust accordingly. The Add Gallery button doubles as a shortcode generator, which means you can create a shortcode to be used elsewhere, like in a widget or a page builder. Shortcodes are created for you so no more guessing or having to review documentation. We have plans to add the generator in useful locations outside of the content editor. That way you can generate a shortcode without having to create a post/page draft. If you have feedback on where you would like to see that happen, please let us know via support. Once question you might be asking yourself right now is if we are automatically converting your existing inserted galleries and albums to Visual Shortcodes. The answer is NO; we are not. We will continue to support the older style. However, if you would like to convert to Visual Shortcodes all you need to do is click to edit the gallery/album and save in the Insert Gallery Window. It will then be converted into a Visual Shortcode. 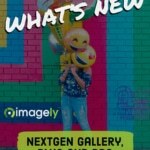 If you would like to give the beta a try on your site, please visit the NextGEN Gallery Beta page for details. We recommend only using the beta on a test site just in case there are lingering bugs. Hey, this is a beta, right? Please follow the instructions for installing the beta and submit any findings and feedback on Visual Shortcodes using our support page.